In 2010 the Panton Principles for Open Data in Science were published. These principles were founded upon the idea that Science is based on building on, reusing and openly criticising the published body of scientific knowledge’ (http://pantonprinciples.org) and they provide a succinct list of the fundamentals to observe when making your data open. 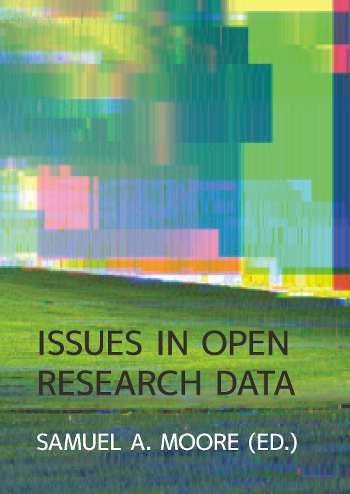 Intended for a broad audience of academics, publishers and librarians, Issues in Research Data explores the implications of the Panton Principles through a number of perspectives on open research data in the sciences and beyond. The book features chapters by open data experts in a range of academic disciplines, covering practical information on licensing, ethics, and advice for data curators, alongside more theoretical issues surrounding the adoption of open data. As the book is open access, each chapter can stand alone from the main volume so that communities can host, distribute, build upon and remix the content that is relevant to them. Readers can access the online version via the QR code or DOI link at the front of the book.